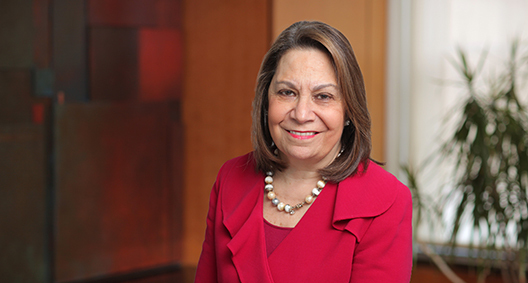 Linda Goldstein is widely recognized as one of the leading advertising lawyers in the country. She regularly provides advertising counsel and regulatory advice to leading Fortune 500 and Fortune 100 companies in many different product and service categories, including telecommunications, wireless, retailing, publishing, entertainment, digital media, gaming, food and beverage, and financial services. She represents clients in investigative and enforcement proceedings brought by the Federal Trade Commission, state attorneys general, district attorneys, and other federal and state agencies with jurisdiction over advertising and marketing practices, and she has handled some of the highest-profile matters, setting industry precedents. Immersed in all aspects of the digital media ecosystem, Linda spends much of her time advising clients on how to minimize the legal risks associated with mobile marketing, e-retail, online communities, social influencers, native advertising, email and telemarketing, sweepstakes and contests, fantasy sports leagues, and casual gaming. Linda also handles all transactional matters relating to the dissemination of advertising campaigns, including sponsorship agreements, agency-client agreements, talent and music agreements, and production agreements. As a result of her breadth of knowledge and extensive experience, as well as her grasp of the legal climate, Linda is regularly called upon by national, business and trade publications to share her knowledge of the advertising and marketing industry. Linda’s commentary has appeared in The New York Times, The Wall Street Journal, CNBC, NBC's TODAY Show, Advertising Age, Electronic Retailer Magazine, and the National Law Journal, and she is regularly published by Response Magazine. Linda is a regular participant at prominent business and legal conferences throughout the country, including the Brand Activation Association, Electronic Retailing Association, Word of Mouth Marketing Association, International Trademark Association, Personal Care Products Council, American Conference Institute and Practising Law Institute. Represented a leading social network in a landmark case brought by the FTC involving the application of the FTC's Testimonial and Endorsement Guides to social influencer networks. Represented major entertainment companies in an industrywide class action challenging text message sweepstakes as violative of federal and state lottery laws. Handled the first and several following cases brought by the FTC against companies engaged in negative option marketing under the Restore Online Shoppers Confidence Act, which applies to all online transactions involving any type of free trial, automatic renewal or continuity shipment program. On behalf of a leading wireless carrier, successfully challenged a competitor's national campaign, requiring the competitor to discontinue the entire campaign. Successfully represented a leading online tax preparation service in a Lanham Act suit brought by a competing brick-and-mortar company. Advised a leading video game publisher in connection with the establishment of an e-sports tournament and related community-sponsored tournaments. Represented a major sports league in connection with its participation in Fan Duel and Draft Kings daily fantasy games. Represented a major telecommunications company in a multistate state attorneys general action, which established industrywide standards for marketing of wireless services. Represented leading publishers in a multistate state attorneys general action challenging the companies’ practices of automatically renewing subscriptions. Advised a national online retailer in connection with the development of its entire pricing structure and pricing programs. As former chair of the board of directors of the Electronic Retailing Association, played a key role in the development of the organization's electronic retailing self-regulation program, a self-regulatory mechanism for resolving inquiries regarding the truthfulness and accuracy of direct response advertising claims. Played a key role in developing public policy positions for the Brand Activation Association on a variety of promotion-related issues, and has advocated for the industry's agenda in the legal, legislative and regulatory arenas.